Bangladesh Fire Service & Civil Defence Job Circular 2018 is the most essential group in Bangladesh. 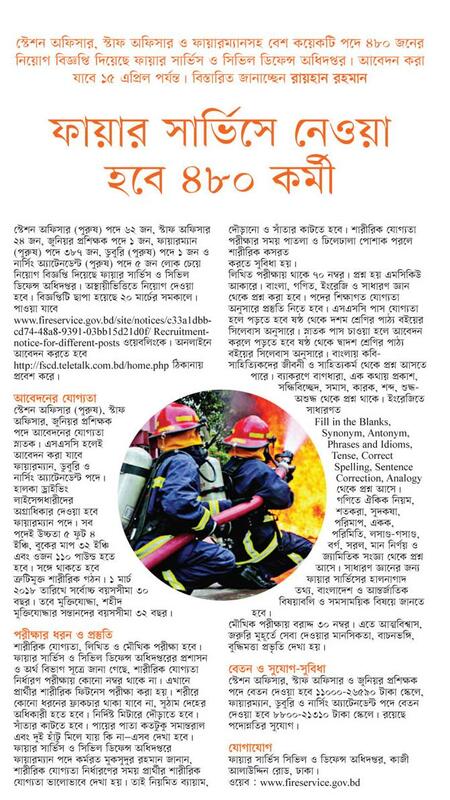 To get Bangladesh Fire Service & Civil Defence 2018 related all information, you can visit my website. Application Last Date : 20th March And 09 & 15 April 2018.